Three major Nintendo 3DS releases will soon be added to the Nintendo Selects range in North America, officially reducing their suggested retail price to a very welcoming $19.99. 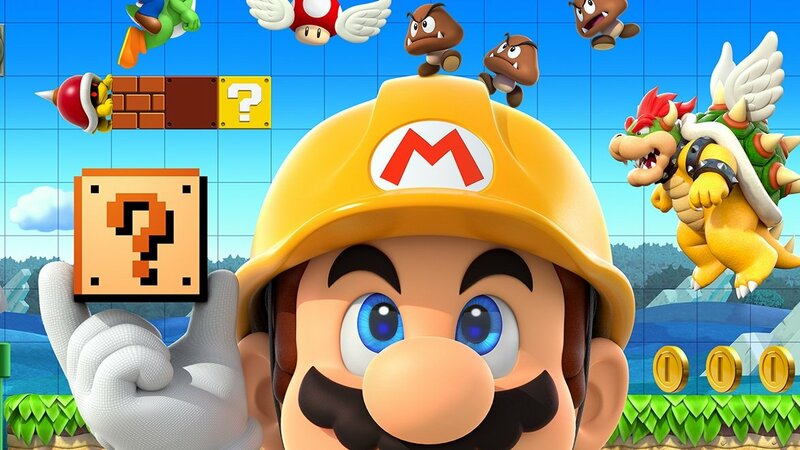 Super Mario Maker for Nintendo 3DS: In the Super Mario Maker for Nintendo 3DS game, build, play and share your own side-scrolling Super Mario levels using a wide variety of tools. Want to make your cannons shoot coins or have Bowser fly? With the intuitive touch-screen controls of the Nintendo 3DS family of systems, creating levels is easy and fun. Plus, you can take on 100 built-in courses as you tackle the Super Mario Challenge. Our review. The Legend of Zelda: Majora’s Mask 3D: The Legend of Zelda: Majora’s Mask 3D game brings Link’s classic adventure to Nintendo 3DS. This remastered and enhanced version features a cast of memorable characters, unforgettable gameplay and a dark and mysterious story. With control of time itself, Link must save the world of Termina from destruction by helping citizens, battling bosses and solving challenging puzzles. Our review. Star Fox 64 3D: Join ace pilot Fox McCloud in the Star Fox 64 3D game, an action-packed space shooter that puts you in the control of the classic Arwing ship as you blast, warp and barrel roll across space. Each mission in the game takes you through a different planet of the Lylat system as you face off against enemies, collect power-ups and fight powerful bosses on the way to the final battle against the evil Dr. Andross. Our review. You'll start to spot these games at their reduced rates in stores from 4th February, so if you're looking to add to your 3DS game collection, we'd advise waiting until then and snapping up these great offers. Are any of these games missing from your collection? Will you be picking any up next month? Let us know in the comments. Mario Maker 3DS as a select? Thats great for people who don't have it. Maybe they are gaining an audience for a switch version? Well, I’ll be getting all 3 usually I have already bought the Nintendo Selects I’m interested in. Why isn't Awakening on the list yet? I'm happy for all american players that they can finally get a copy of Star Fox 64 3D at a good price. It should be in everyones 3DS Collection. The game has been a Nintendo Selects title for a few years here in europe and i never understood why that wasn't the case for other countrys. I'm surprised it took three to four years for America to get Star Fox 64 3D as part of the Nintendo Selects line. Awesome. Now all three of the major 3DS Zelda games can be had for $60 in NA. ...Now I need to check to see if I have starfox. I feel like I'm missing one of them. I missed Star Fox the first time around. I have the original 64 cart that I still play to this day, but at this price I think I'll pick it up, dust off the 3DS and take to the skies in 3D. At this point, every 3DS game should be $20... that will help 3DS stick around for another decade... great console for kids. This would be awesome. Some how I have yet to this day, play Majora's Mask. Someone recently gifted me an unopen copy of Ocarina 3D but I already owned it. If this is true and happens soon, maybe I'll just swap them at Target or Walmart. Of course I wouldn't mind having a second copy of Mario Maker either. But I'm hesitant because I think it's just a matter of time now that it gets ported to the Switch. I think Nintendo was being strategic with their releases. They ported New Super Mario Bros. first because they knew that Mario Maker on the Switch would limit the sales of New Super Mario Bros.
Star Fox 64 3D for $20? It's a deal for me! Here's the source since Nintendo Life didn't provide one. Already have Star Fox and Majora's Mask and really I regret buying Mario Maker on the Wii U as it is. Good for those who don't have them and are interested though. @ALinkttPresent Right! And not only that but the Nintendo levels in Super Mario Maker for 3DS are infinitely better than the New Super Mario Bros. 2 levels. These levels are reason enough for owning it. As an extra you get Wii U online levels but you can't upload any but you can create and share via wireless download. Majora's Mask is one of my favourite games of all time and the 3DS version is even better: visuals, stereoscopic 3D, controls, gameplay and extra content. It even has camera control on New systems. This game is Nintendo (and Grezzo) at its best. Star Fox 64 3D looks way better than the original version. If you like the genre I can't think of anything better, Star Fox Zero included. Well this is good news to me, I haven't had a chance to get Star Fox 64 3D yet. I was thinking about this game yesterday, so it's perfect timing for me. Honestly, it's about freaking time Star Fox gets a price cut, good lord. That should have been a "Select" in the first round, but hey, at least they finally did it. Don’t these discounts also apply to the Nintendo eShop? @MysticGengar I have no insider knowledge, but based Nintendo's willingness to port good Wii U games to supplement new Switch content, I am basically 100% certain it will come. I suspect they'll let NSMBU get a year or so of traction before we see it... but I have no doubt that it will be on the system (with some sort of "design in handheld mode/play levels on TV" sort of set up). How about some Nintendo Selects for the Switch? Cool. I already have all the 3DS Zelda games (wish I could have Minish Cap on there, but I wasn’t an Ambassador), but I don’t have Super Mario Maker (have the Wii U version) or Star Fox 64 3D yet (have regular Star Fox 64 on the Wii U). This means I'll finally be able to get my hands on Star Fox 64 3D on a decent price point. I couldn't justify the purchase when it came out, and then it went out of print and the price of used copies skyrocketed. I'm excited to grab Star Fox 64 3D (what a clunky name, haha) for $20! That game has been expensive here in the states for a long time now. I wonder what other games they'll add to the Nintendo Selects line as the year goes on. Fire Emblem titles? @RupeeClock 4 years? StarFox 3D was one of the earliest games and it seemed like it was lucky to find the game used complete for even the original price. Unless you mean 4 years after Nintendo Selects started. Specifically, Star Fox 64 3D was only added to the North American Nintendo Selects range as of February 2019. It was added to the European Nintendo Selects range in 2015, and the Australian Nintendo Selects range in 2016. Good idea by Nintendo. With the 3DS’s end on the horizon and likely much less 1st party support for new games, this is a great way to keep the system going. Adding more and more game’s to the Selects line to add value for anyone looking to get into the 3DS eco system. @nukatha Affordable and Fire Emblem are direct opposites. @ALinkttPresent It does? Darn it, looks like I might have to buy it after all even though I have the Wii U version, one can never have enough Nintendo made levels! Damn i just picked up Majora's mask used for 40 last month ..oh well now i can get mario maker..
@BlueOcean Star Fox 64 3D does indeed look better in the 3DS remake, but the voices are different (and inferior IMO) than the N64 version and the controls are not as good due to the lack of a proper analog stick, so if you have played it on N64 you might be a little disappointed with it, I know I did. I'm just waiting patiently for Tropical Freeze to become a Selects title on the Switch. I can finally pick up MM and SF64 for decent prices. Yay! I urge everyone and anyone to buy Majoras Mask, awesome game. @nab1 Yes and it also lacks rumble. I never had the N64 version until Wii and I didn't beat it so I can't say much about this. I enjoyed the 3DS version but I am not a big fan of Star Fox games anyways, except Star Fox Adventures. I already own and love all of these games but I certainly recommend them to anyone who haven’t gotten around to playing them yet. @nab1 Yeah they marketed it as a port since the Wii U version of Super Mario Maker was so popular, but it's definitely its own separate main installment in the series. I might pick up Majora's Mask. Awesome. I hope the price cut also applies to the eShop. Been eyeing SF for a while. @MH4 @SmileMan64 Yes the price cut applies to the eShop in EU so I expect the same in US. I'm in the middle of Majora's Mask 3D right now and am really enjoying it! For those who want a Zelda game that's dark and a little different, this is for you. I'm glad that Star Fox 64 3D is becoming a Nintendo Selects title. The price drop is definitely welcome, plus new copies are retailing for crazy amounts. Cool. I haven't bought a 3DS game in a long time now but Majora's Mask is one of the games I skipped out on and have been meaning to pick up. As for the other 2 games, I already own Star Fox 64 3D and I don't really care for Mario Maker since there is no online course sharing and I already own the game on my Wii U. Definitely good games though and are worth $20 for those who have yet to experience them! Now if only we could get a proper Starfox port, or new game, on the Switch. Starfox 64HD-DX, Starfox Zero DX, a remaster of Starfox Assault, or just anything. Starlink was nice, but I'd like a proper Starfox not linked to an awkward control scheme. I wouldn't mind some HD ports of the mainline Zelda games either. But BOTW kind of scratches that itch for now. So I'm not as hungry for it as I am Starfox or Metroid, on the Switch. @ALinkttPresent this is exactly why I bought it when it went into the selects range here in Europe. It’s a fun Mario Adventure even if you completely ignore all the stage creation stuff, which I did. I hope we get one or two more rounds of Ninty Selects for 3DS here in Europe. There’s a few games I’d like, but I’m not quite willing to pay full price for. Miitopia, Poochy & Yoshi and maybe Final Fantasy Explorers. Great games at great prices! Now there's no excuse not to buy the 3DS port of Majora's Mask! I am fan of budget range covers of games like the Satakore Collection for example. NintendoLife trolling me again. I saw Mario Maker and got excited. Switch expansion or sequel when???? @Heavyarms55 I hope they do a sequel heck I even settle for an enhanced port (which will more than likely be around the same quality). I just want people to see my flappy bird mario level and the shut up and drive level i created on Wii U. Its funny flappy bird mimicked mario and i used mario maker to mimic flappy bird my level was hard as nails too. @nukatha : I would prefer that they rerelease Awakening, Fates, and Echoes with the DLC packs on the cartridge over a Selects discount. The DLC cumulatively costs about as much as the games at full price and in the case of Echoes, more than the base game. @Silly_G Fates needs a "collection" release. To be sure. I was not a fan of the way they released each campaign as a different game. @Heavyarms55 : They did though. The Limited Edition included all three campaigns (including the Revelations DLC) on cartridge. The DLC map packs were still sold separately though. @Silly_G Such a thing should not be a limited edition. @Heavyarms55 : Blame Nintendo for that one. I think it's outrageous that they never issued a reprint for something that would be in such high demand. Meanwhile, Echoes and Warriors' limited editions were available for months following their release. How can 3ds super Mario maker be shared? Did they add an online thing? I know Mario vs donkey Kong tipping stars had the server taken down for creating/tipping levels so I would be very wary. I've actually refused to buy Fates because it has been impossible to find the cart with all three routes for a reasonable price since pre-orders closed 10 seconds after it was announced. @nukatha : I don't blame you. I was extremely lucky, and Australia's only remaining independent gaming store happened to have two left in stock (this was on the Monday immediately following the launch weekend), and the guy on the phone (who ended up being the attendant who would serve me) nabbed the other. My car was out of service as well, and they refused to hold on to the game for more than a day (grr) so I got onto a bus as soon as possible (as the store is kind of in the middle of nowhere) with the sole intent of buying a friggin' game. Nintendo really does test our loyalty at times. It's absolutely ridiculous even have to go to such lengths, but it would have driven me bonkers not to have it. Similarly, the Japanese limited edition of Bayonetta 2 on Switch (which is the only way to get Bayonetta 1 on cartridge) sold out straight away. I ended up paying some scalper around AU$300 on eBay after Play-Asia screwed me over. To put matters into harsher perspective, the Wii U version (which included both games on discs) was only AU$69 at the time of its release. This is great! Now I can buy two games for $40 😊 Majora's Mask was a day one purchase because I like it a lot. I would love to see a remake of Donkey Kong 64 either in 3DS and/or Switch. @MysticGengar Switch version of Mario Maker would be a nightmare in docked mode. It's the quintessential first party Wii U title; Nintendo should have realized this three years prior and made it the pack-in launch title instead of Nintendo Land. Also should have called it the Super Wii. Also should have done a lot of things differently. Honestly, my strategy has been 'If game is Switch Port of a Wii U game, then I buy the original game on a Wii U disk'. Still ticked off at Fates though. Maybe I'll find one at a game store at some point in the next decade.